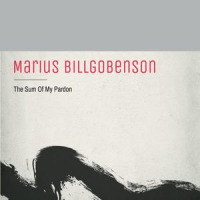 Marius Billgobenson creates world music in the truest sense of the phrase. The sounds of Africa are fused with jazz instrumentation and other world influences, and expressed in music from the heart. Native beliefs and customs are intertwined with memories and life experience and the result is a groovy musical tapestry, giving voice to many indigenous peoples. 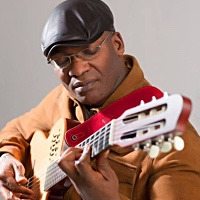 Growing up amongst the sounds of the Congo River Basin, Marius’ own musicianship was fostered in guitar lessons from the missionaries of the former Swedish mission station in Ingoumina (Zanaga) where he was raised, and soon developed into creating music of his own. Working as an anthropologist, ethnomusicologist, and musician, Marius has dedicated his life and his music to bridging communities. Through his work as the director of Afrique Profonde, a non-profit organization striving to preserve the traditional culture and human rights of Pygmies in the Republic of Congo and the Congo Basin Rainforest, he has been able to achieve comprehensive archival research as well as programs in eco-tourism, artist residency, and advocacy, also establishing successful communications between governments, NGOs, and international communities. Marius’ eagerly awaited debut album, The Sum of My Pardon, is set for release later this year under the moniker Billgobenson, and he intends to promote both the music and awareness of indigenous rights as he tours it through Europe and the US. The album fosters connections between communities across social and cultural barriers by creating musical tours to Congo Brazzaville, facilitating exchanges between musicians based in the west and people of the Pygmy tribe. From folk country blues through afro-beat, this album will tell a powerful story of contrast, purity, and harmony. The Sum of My Pardon exists as an expression of passion for indigenous culture, and draws inspiration and a beautiful metaphor from the social and musical harmony of the polyphonic singing of the Pygmies. The music of Billgobenson makes us face what we stand to lose in the silence of indigenous peoples, the custodians of significant alternative knowledge about both music and life. All About Jazz musician pages are maintained by musicians, publicists and trusted members like you. Interested? Tell us why you would like to improve the Marius Billgobenson musician page.